This designer is currently not available. TheDallesHostler Robert... Thank you for your observations. The tunnel portal is a single track, and that has been corrected in the description. 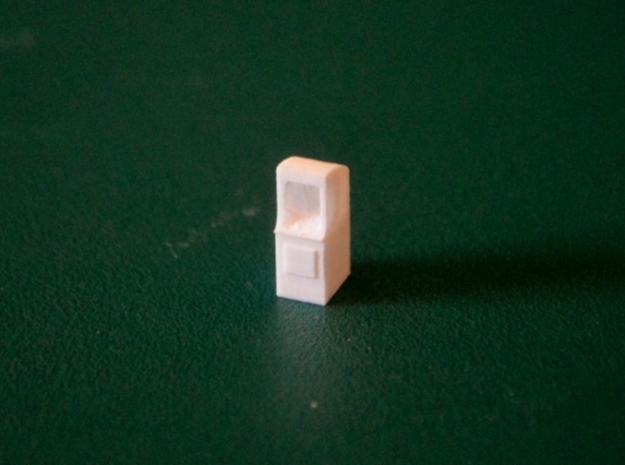 As for the price, I am at the mercy of Shapeways. I was able to revisit the design, and thin down some of the parts, but it still not at your $20 limit. 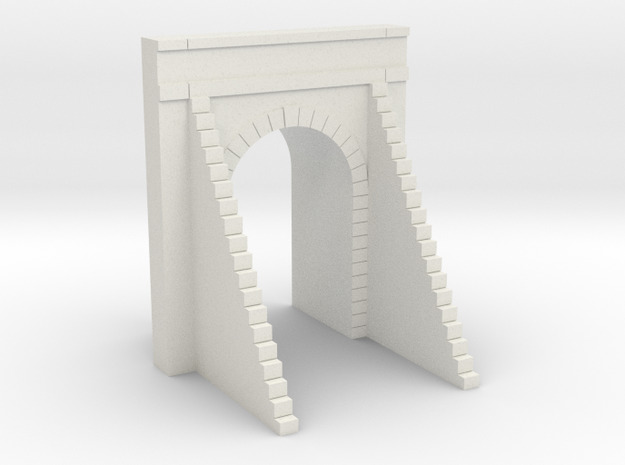 With regards to Woodland Scenics portals, their production method is different than that of Shapeways. Also, their portals are based on a generic design. I personally designed this portal, based on a picture I have. I would like to note, the details in this design took a considerable amount of time to draw in the 3D CAD programme. TheDallesHostler @amcclurg, yes I believe you could light this up. When you paint it, paint the vertical walls of the interior cavity, black or dark gray, but leave the top of the cavity unpainted. When you paint the exterior of the cabinet, just mask the CRT, and put a yellow-white LED inside.